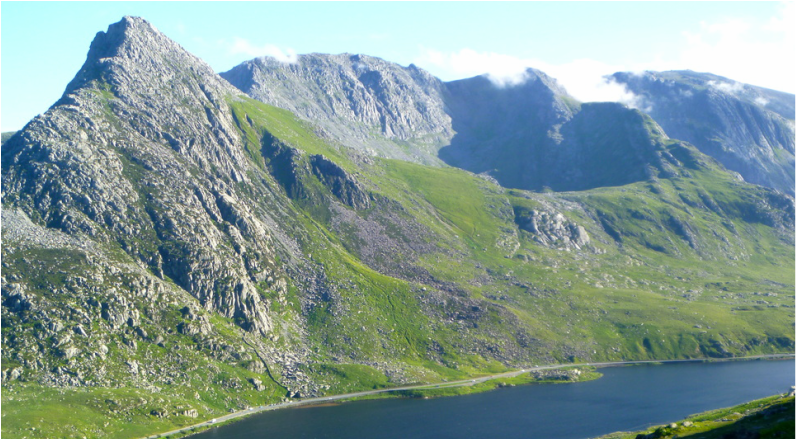 The 15 Peaks Challenge is an attempt to climb all fifteen 3000ft peaks in Wales in three days. This is a beautiful high level traverse passing through untamed mountain areas. We aim to complete this challenge in three days. It's physically demanding, but a fine achievement. In the evening we can relax and reflect on the achievements of the day. The Welsh Peaks offer glorious mountain scenery and this is a magnificent way to enjoy them all. appearance, Tryfan can appear impenetrable. However our route allows for variation in difficulty levels and is actually within the capabilities of most hillwalkers. Crib Goch requires a good head for heights, surefootedness and steady nerves. There is no hiding the fact that this is a narrow, knife-edge ridge. We will allow plenty of time for this. There are plenty of options available in the local area and we can help with this too if you wish. A high level of fitness is needed for this trip. Each day will be long, approximately 8 - 10 hours of mountain walking. You need to feel comfortable walking with a small daysack for extended periods and during adverse weather conditions. On day 2 and 3 there are some extended scrambling sections. Day 3 also has considerable exposure – make sure you have a head for heights. That said – it makes it all the more interesting. Complete some training walks before you arrive. A little time invested in training will undoubtedly add to the enjoyment of your trip. The weather in the mountains of Snowdonia is unpredictable. If we are lucky it will be a beautiful few days! However, it's better to plan & expect for wind and rain.